As a Panama City photojournalist I submit numerous photos to the Associated Press. Every now and then a major media outlet will pick up one of my AP photos and use them online or in print. In October, the Wall Street Journal picked up one of my photos to use as one of their “Photos of the Day.” It was a photograph I shot from a Panama City Beach condo looking down upon the clear water of the Gulf of Mexico. The day I shot the photograph, the water clarity was unreal due to the lack of wave activity for several weeks during the summer. (Translation….I only got to surf twice all summer!) As usual, lots of beach-goers were enjoying the day and the water. 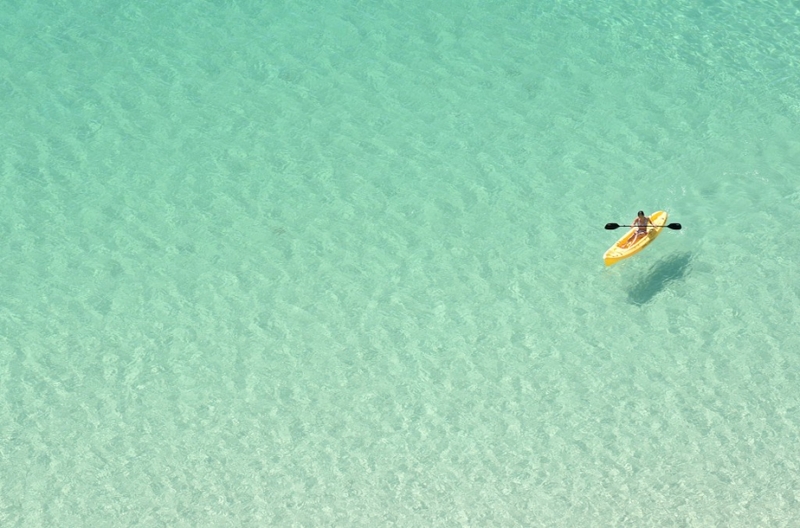 As I looked around for a human to photograph, I spotted a boat, paddle-boarder and a kayaker. The kayaker was in just the right spot and I fired off a series of frames. I headed back to the office and sent it over the the AP. They accepted it and I forgot all about it. Fast forward to December. A Twitter follower tweeted me that my photo was on the Wall Street Journal website. I clicked the link and saw that the kayak photograph was included in their “Photos of the Year 2014” gallery. I love when I happen to be in the right spot at the right time with the right gear. Sometimes the planets align and it all comes together. This was one of these times.